A young man’s determined efforts to revive his ancestral language — which started with grassroots language nights in his father’s home five years ago — reached a new milestone this week with the announcement that he’ll be leading a full-time adult immersion program for the Skwomesh language at Simon Fraser University in September. “My heart just soars when I have opportunities to speak to others in my language. Right now, I don’t have enough people,” says 26-year-old Khelsilem (his traditional Skwomesh name). The program would like to have 15 students learning Sk̲wx̱wú7mesh sníchim (the 7 represents a glottal stop or a slight pause) — or in English, the Skwomesh language — seven hours a day, five days a week. Khelsilem will be one of two lead instructors of the program, which is now accepting applicants. After completing 1,000 classroom hours, students graduate with a certificate in First Nations language proficiency. It’s modeled after similar indigenous language programs in Canada and New Zealand. Khelsilem says he was inspired by a trip to the community of Kahnawake in Quebec, where he learned about Mohawk immersion efforts. “I was able to see how many years of running an adult immersion program has created a community of language speakers … that permeates through many institutions in the community, whether schools, community centres, hospital, daycares or administrative centres,” says Khelsilem. The Squamish Nation has a population of 4,000 members with a vast traditional territory that ranges from North Vancouver to the city of Squamish, 60 kilometres north of Vancouver. But a 2014 report on the status of B.C. First Nations languages listed Sk̲wx̱wú7mesh sníchim as “critically endangered,” with only seven fluent speakers remaining. Until now, the options for Squamish Nation members interested in learning the language have been limited to Skwomesh classes in local elementary and high schools. There are also evening classes for adult learners, which are university-accredited but sporadic. Khelsilem says a few hours a week of language instruction can’t turn a student into a language speaker. 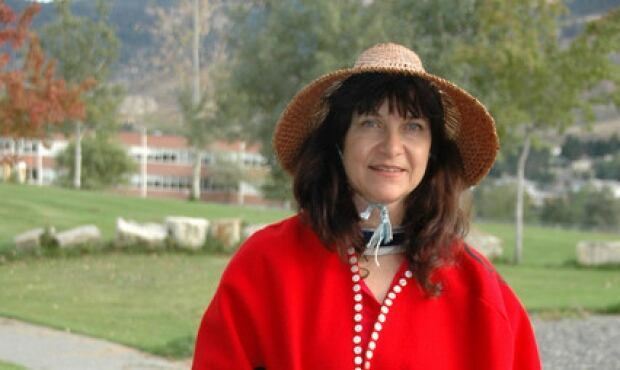 Professor Marianne Ignace, the director of SFU’s First Nations Language Centre, believes the Sk̲wx̱wú7mesh sníchim immersion project has exciting prospects for revitalizing the language. It’s a trailblazing project (in British Columbia),” says Ignace, a community member of the Skeetchesen First Nation and fluent speaker of secwepemctsin. SFU has certified over 200 students in 15 indigenous languages over the past two decades, says Ignace but only recently began offering opportunities to learn in immersion settings. The centre ran a four-month immersion “boot-camp” for the Haida language in Haida Gwaii last winter. It’s also piloting a “language house” project with the Osoyoos First Nation and Penticton Indian Band, immersing 15 students in the Okanagan language, known as nsyilxcen, for two-days per week. “We can see how much faster learners are able to progress, if it’s the full-time immersion based approach,” says Ignace. Khelsilem, a semi-fluent speaker of Sk̲wx̱wú7mesh sníchim, began learning from cassette tapes as a teenager. 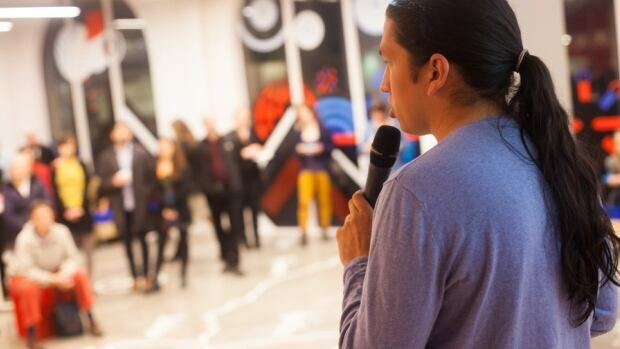 Once he became more proficient, he launched an online language blog in 2011, designed to reach and teach Squamish Nation members in any location with his self-designed podcasts and YouTube videos. That evolved into a Language House, where three residents lived and spoke Sk̲wx̱wú7mesh sníchim daily. All these efforts were do-it-yourself volunteer affairs, supplemented with contributions from crowdfunding campaigns. But Khelsilem says he recognizes the key to developing a community of language speakers is to make it financially viable for language students. The partnership with Simon Fraser University means students who are First Nation members will be eligible to apply for post-secondary funding to cover tuition costs, as well as a monthly living allowance. Khelsilem has founded a not-for-profit organization called Kwi Awt Stelmexw, hoping to raise $30,000 for student scholarships, and plans to hold a gala fundraiser this March in North Vancouver. This entry was posted in Course, Great News, News and tagged language, language revitalization, Sk̲wx̱wú7mesh.